You’ve been doing it all wrong: Why running hasn’t worked for you, and a method to fix it! Have you ever wondered how people actually enjoy running? Maybe you’ve scoffed at those who obsess over pounding the pavement, while secretly wondering if there might actually be something to it. Maybe it’s time you try something new. Maybe it’s time you learn how to start running for beginners. So many would-be runners try to start as if they’re already professionals. They think that the right shoes and enough gumption will accomplish their goal. But after 2 weeks of sore muscles, painful runs, and little results, most simply give up. But you can succeed. With the explosion of running resources and programs, success has never been closer! One of the most used and celebrated running programs for beginners is the “Couch to 5K” program. Thousands of serious runners made their start with the couch to 5K methods that walk you through how to start running for beginners. The couch to 5K program has broken down running into manageable chunks that enable anyone to go from sitting on the couch to running a 5K. That’s 3.1 miles, non-stop. Did you ever think that would be possible? It is. When learning how to start running for beginners, you need to find a program that doesn’t have goals that are so difficult to attain that you give up after the first two weeks. The couch to 5K program starts off with a combination of walking and jogging. The distances are manageable and the increase is gradual. This allows your body the time to strengthen itself naturally. Your muscles, bones, and lung capacity are stretched just slightly with each session. Adding another hour block of responsibility to your daily routine is sometimes simply not possible. The couch to 5K program doesn’t require that. It requires just 30 minutes, 3 times a week. Anyone can do that. Coincidentally, this is the recommended time of exercise for someone wanting to maintain optimal health. In fact, the American Heart Association suggest just 75 minutes of running each week to prevent cardiovascular disease. The couch to 5K method allows you to track your running by time or by distance, whichever is easier for you. 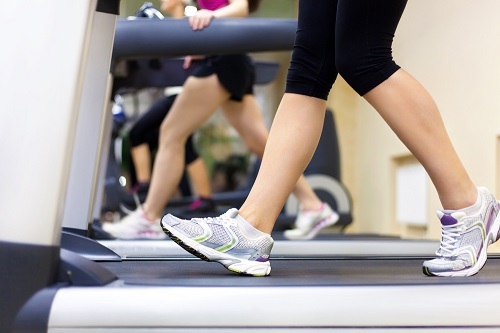 There’s also an option that has broken the times down for treadmill running. There are numerous apps now available that have been designed specifically to fit the couch to 5K program, making it even more convenient to choose the plan that’s right for you. We’re not saying you have to give up a year of your life for this. It only takes 9 weeks to get yourself up to effortlessly running 3.1 miles within 30 minutes. Doesn’t that sound good? In a little over 2 months you could be the one telling your co-workers that you actually enjoy running! Check out this site for more great tips on how to start running for beginners. And, as always, Wellworks For You offers the help you need–from nutritional tips to motivational quotes–anything to keep you moving and keep you well.